A recent study at USC Annenberg found that Americans spend an average of 24 hours a week online. In a university town such as College Station, the hours spent online are likely even greater. As more people use the internet for online shopping, banking, financial management, and socializing, they also expose themselves to increased cyber risks. Online threats and cyber-attacks threaten our national and economic security. The City of College Station is joining with the Department of Homeland Security to raise cybersecurity awareness during National Cybersecurity Awareness Month throughout October. Cybersecurity is not just the responsibility of governments, companies, groups, or individuals. Everyone shares the responsibility for cybersecurity – from the average smartphone user to a corporate CEO. Here are some basic steps you can take today to reduce the risk of a cyberattack. Pick strong passwords for all your devices and don’t share them with anyone. In addition, never send a plain text password by email, instant message, or any other means that isn’t reliably secure. You should also avoid entering your password on any device if you’re not sure the device is secure. Finally, don’t store your password on the device it’s designed to protect. Phishing is a type of online scam where criminals use email messages, websites, and phone calls that appear to be from a legitimate organization to ask you for sensitive information such as credit card numbers, passwords, account data, or other information. About 156 million phishing emails are sent globally every day. The damage caused ranges from losing email access to substantial financial loss. If you suspect a phishing email is in your inbox, don’t open it, don’t download attachments, don’t reply, and never click links. If a website, email, or text seems suspicious, be wary and don’t click any links they may contain. The links or attachments could contain malware. The best thing to do it to delete these messages immediately. Your personal information is your property. Be leery of unsolicited contact from individuals seeking personal information, and don’t provide personal information or passwords by email or phone. Pay close attention to website URLs that use variations in spelling or unusual domains. To verify the authenticity of a request, contact the company directly. If possible, you should use an internet firewall at home to keep cyber intruders out of your personal information. It’s also a good idea to update the security software, operating system, and web browser on all of your internet-connected devices. Keeping your security software up to date will prevent attackers from taking advantage of known vulnerabilities. Hackers want to use your mobile device as a gateway to you or your organization’s data. The content and contacts stored on your mobile device are the types of data cyberattackers need to hack into your accounts or company network. Update the security software regularly. Update your apps routinely, delete unneeded apps, and download apps only from trusted sources after checking reviews. You should configure app permissions immediately after downloading. Secure your devices with passcodes or other strong authentication such as fingerprint recognition. Free Wi-Fi really isn’t free, so make sure you’re connecting to a legitimate Wi-Fi hotspot. Your device will typically pick up the strongest signal, which could be a rogue Wi-Fi that seems reliable but is actually an attacker waiting to monitor, intercept, or even alter communications from your device. Learn more about National Cybersecurity Awareness Month and how to protect yourself from threats online at dhs.gov/ncsam. Network Systems Analyst Neil Black has been with the City of College Station’s IT Department since 1997. A native of Houston, Neil studied business management at Texas A&M. Information Security Officer Xiaoying Hu has been with the IT Department since September. She previously worked for the City of Houston. 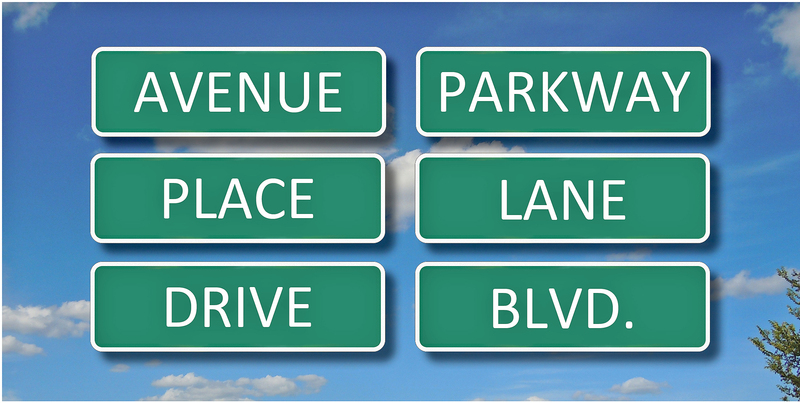 As you drive around town, do you ever wonder why we call some roads avenues and others drives? Or why some are parkways or lanes? Mayor Nancy Berry and Councilwoman Julie Schultz welcome James Benham’s remote participation at a recent meeting. Democratic government is messy, and can be compared to making sausage — no one really likes to watch the process, and not everyone approves of the final product. Representative government was viewed by the founding fathers as so important that Article I of the U.S. Constitution sets the provisions at the federal level. However, the same concept is even more vital at the local level. As in many cities our size, College Station’s city council members are unpaid volunteers, and their full-time jobs and other demands occasionally conflict with scheduled council meetings. Not long ago, that meant they sometimes had to miss council meetings, which affected their ability to represent their constituents in the debate and dialogue of a typical meeting. The institution of representative government was not completely fulfilled in those instances. Despite its immense benefits, the World Wide Web can be a hazardous place. By taking a few simple precautions, you can ensure that your online experiences are safe and secure.